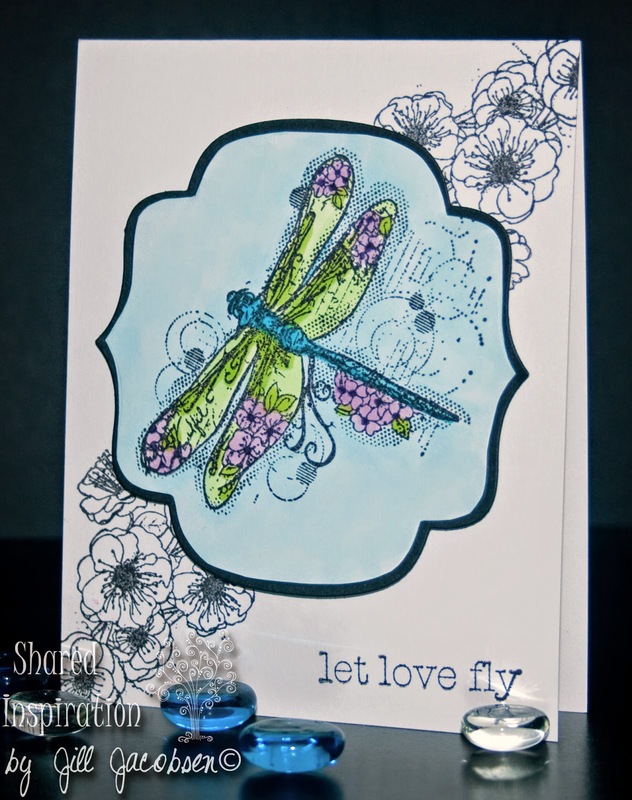 Hi Stampers, I was inspired by this card on Pinterest, but after I did just the blue around the dragonfly, I just needed to color the whole thing! lol And I absolutely love the effect of the b/w in the background and the color up front. 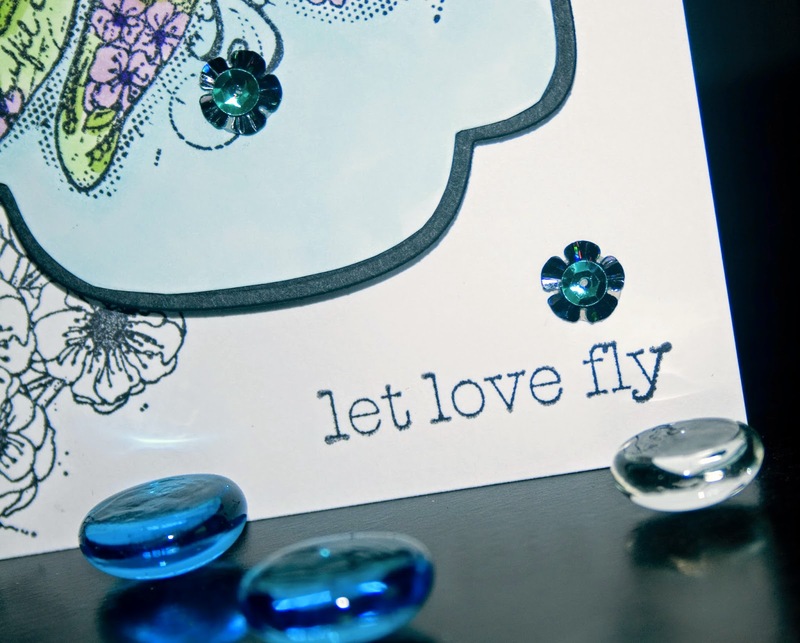 After I finished the card and took pictures I decided it needed some bling....and wow! The sequins make it pop even more! 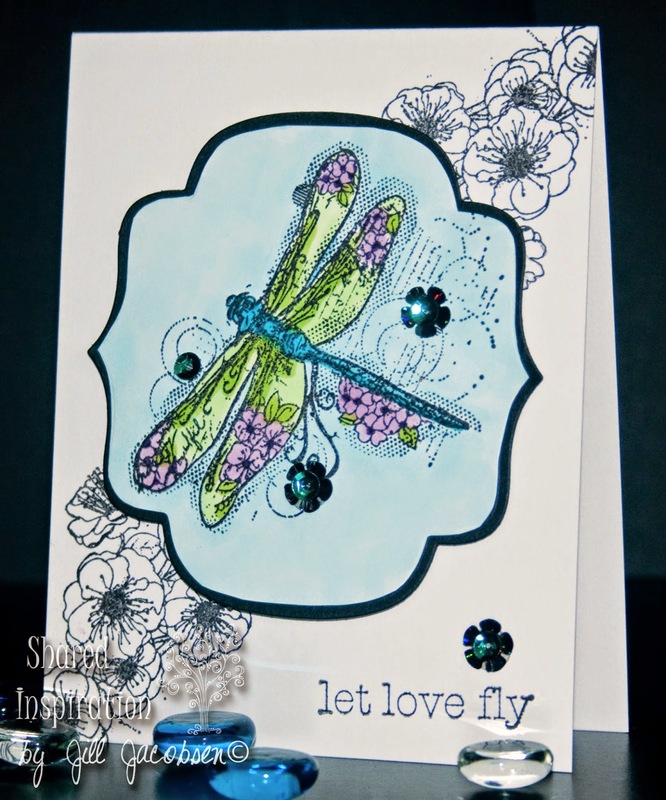 I love the way this card came together, simple yet striking! The stamps are from Unity and I colored with Copics. 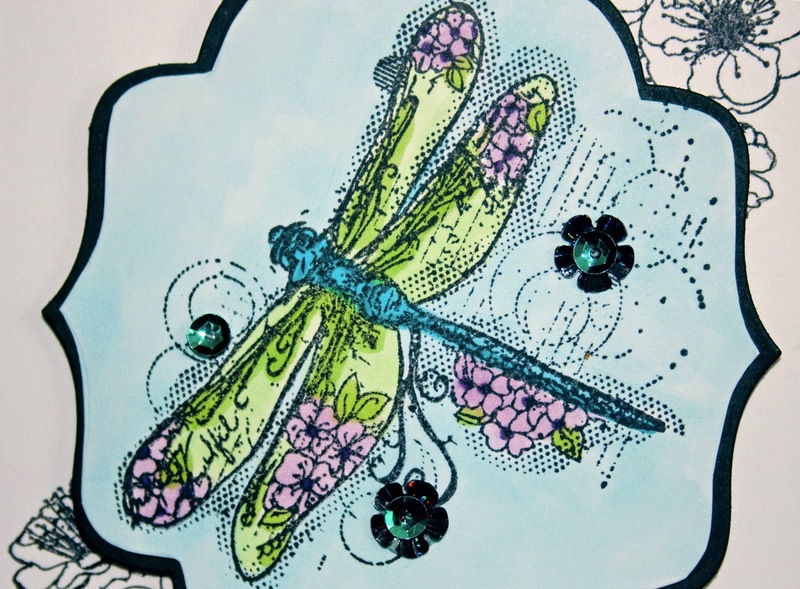 Thanks for stopping by today.....add some bling to your next project and make it WOW! !